Physical Description: Jatai is a very unique female snake. This snake is white-scaled with red eyes, however, it eyes are rarely seen considering that usually keeps them closed in order to keep up with the illusion that it is a piece of clothing. The most interesting feature of this snake is that it does not have a diameter girth, for Jatai is a flat snake, no more then a half a inch thick and 8 inches wide. Jatai is not summoned by slamming the hand of the user onto the ground, but instead by slamming their palm onto a part of their own body. The reasoning for this type of special summoning is because Jatai is actually worn by the user that summons her, which suggests that the old legend about this creature is true, saying that it was once the obi of a kimono that was transformed into a snake. The texture of this snakes scales makes it look like it is made out of fabric, further creating the illusion that this is a piece of clothing rather then a snake. The tale of this creature is always held within its own mouth, and so the true length of this snake is not known, however it will always wrap around the one that summoned it, and in Rivalz’s case it is worn diagonally hanging on his right shoulder as a sash. Description: By using its cloth like body, Jatai will extend outward from where it is worn and wrap is body around the victims face and throat, causing the person trapped within to suffocate if they cannot remove the snake. Jatai will use chakra to tighten its constriction to completely block air form getting to the victim if trapped. Even if the enemy is able to destroy Jatai, the amount of time that they are trapped could provide her master to get in an important attack, considering that being suffocated completely will no doubt distract the victim’s attention away the one that summoned Jatai. Description: This technique uses the natural ability of snakes to shed their skin in order to create a kind of substitution effect. Though the skin shedding is usually only done when the snake grows, this technique can be performed by the summoned snake sending chakra into its existing outer scales. By quickly shedding its old skin, the snake is able to leave its scales behind and quickly move to another location on the field. This technique will repair minor damage that had been done to it, but it also allows the snake to reposition itself while distracting the opponent, since there will be a snake form left behind form the scales being quickly shed, which can potentially hide what has been done if they scales are not blown away in the attack the serpent just dodged. Description: By charging his belly scales with chakra, Akamata is able to increase its speed even more to allow it to not only dodge attacks, but close the gap between himself and his opponent, allowing him to get in close enough to strike the opponent with his unique venom. The speed burst lasts the duration of practically any straightforward distance within 5 meters. However, because of the chakra cost and Akamata’s own tiring endurance he does not perform this technique more then three times per summoning. Description: Akamata is almost always drunk off of his own unique venom. However, luckily for both Akamata and the one that summoned him, he is a master of the Suiken Rivalz style of fighting, and through he does not actually have “fists”, he can use this technique to loosen the muscles throughout his long body to give him unstructured movements that are both hard to predict, and nearly accidentally nimble to make it harder to hit the fast moving snake. Not only does this style make the snakes motions more fluid and agile, but it also allows him to take more pain thanks to the impairing effect his alcohol has upon his sense of danger and feeling. --Fangs/Venom – Tsuchinoko has fangs like all snakes do, and the same neurotoxin as all cobras. This venom can paralyze an opponent, but since Tsuchinoko is not the most venomous of snakes and his bite can only paralyze an opponent’s limb it is injected into, taken two posts before the paralysis occurs. --Expanding gut – Tsuchinoko is a rather fat snake, and can increase the central girth through extending his hood, potentially increasing the surface area for attacks and defense. He can also use this expanded central girth to fold his head and tail into in order to curl himself into a ball shape. Description: Similar to the Akimichi style of Taijutsu, this technique takes advantage of Tsuchinoko’s large central girth. After expanding his girth and hood, the plump snake will fold his head and tail downwards, biting down on his own tail in order to form his body into a large ball shape. Once this ball shape is formed, Tsuchi will begin a powerful and rather fast roll, flattening obstacle in his way as he attempts to crush the directly hit the opponent. Given his size, this technique could cause the opponent to break several bones if a direct his is landed. This is a powerful technique, and the user is even able to change the direction of the roll in order to respond to the changing battlefield. Description: To perform this technique Tsuchinoko will first dive into the ground and then begin to rip through the earth in front of him, remaining shallowly within the earth, turning his entire body into an earthbound torpedo. As the user travels through the earth a shark-like dorsal fin composed of solidified and sharpened earth forms above his path, slicing through obstacles above the user. However, while this “fin” is as sharp as a blade, it gives away the user’s position more then the channeling quaking earth does as it rips apart above Tsuchinoko. Once the user reaches the target, he can burst out of the ground, causing the earth around him to explode, scattering the area with painful pebble sized debris. Description: This is a simple yet effective technique. To perform this technique, Tsuchinoko will first swallow a large chunk of earth ground the earth, breaking the clod of dirt into gravel-sized pieces within his mouth as he combines it with Doton chakra. By drawing his head back and upwards Tsuchi can proceed to shoot in one massive spit countless pebbles towards his opponent. These pebbles mostly just deliver a stinging poke, but can prove more effective if they hit the thin skin of the face or the tender surface of the throat or eyes. Even if these pebbles do no hit the opponent in a tender area, this is still an effective technique for the shear number of pebbles that it creates and uses. Physical Description: Unlike other snake summons, this is actually a swarm summoning, and not an individual snake. This summoning appears in the form of a massive swarm of snakes appearing at the same time. The snakes are all black scaled, and have yellow, glowing eyes that appear ominous, especially if summoned in the dark. These snakes are all non-venomous pythons, and as such generally aim at constricting their prey. The snakes area all around three feet in total length, but are regular in size for snakes, with a girth of about two inches maximum. One downside to this form of summoning is that it take longer, in that the user must keep their hand pressed down on the summoning location until all of the snakes appear, and when it comes to these snakes the more there area the more effective they are in combat. At Genin 50 snakes can be summoned, and at Chuunin 100. While the full amount of snakes do not need to be summoned at once, it is recommended. --Constriction – If any of these snakes can manage to crawl up an opponent’s limbs then they con constrict and make themselves hard to remove while cutting off the circulation to the limb. --Fangs – While not traditionally bitters, these snakes do have fangs and can it down on the enemy. Description: This is a very powerful technique that encompasses the entire area this swarm summoning spreads out across. By releasing Raiton chakra through their bodies and connecting their individual charges with that of the other snakes summoned through this group, this swarm of snakes can surge electricity across the field, striking anything caught within the field with dangerous lightning that could potentially paralyze the targets. This technique is made all the more effective if the pythons managed to constrict on the target, for they are able to channel this lightning chakra towards a localized area within the field, forcing the full might of the technique onto one individual snakes and the person they are binding. Remain in effect for no more then a minute at a time, but since it is meant to be an instant shock technique, drawing it out for the full length is usually not done unless if aiming to target such things as crops, which is the bases of this technique name. Description: This is a defensive technique taken with the user of the Raiton chakra these snakes produce. By swarming around the summoner in a circular formation, these snakes can send their lightning chakra upwards, forming a small half-sphere dome around their master in order to protect him from some techniques. This sphere can be sued to deflect some minor attacks, and even some major attacks of the same or lower level. However, considering the high chakra cost of this move, it can be dangerous with extended use, and thusly is usually only effective when used directly before an attack is received, dying down after the attack is negated. Description: By charging their mouths with Raiton chakra, this summoned swarm can channeled lightning from their mouths into anything they can bite down upon. This is the only lightning technique they can perform effectively individually. However, for true effectiveness, the more of these snakes that bite down on a single target, the quicker this technique wil show effect. This lightning surges through the localized area of the bite, causing damage to the target and potentially paralyzing them as an effect form these lightning charged fangs. Physical Description: This is Rivalz’s personal summoning that he favors above all other snakes considering that its personality and because it reminds him of a regular King Cobra he encountered during the first stage of his Chuunin Exam. Hebimaru is a black-scaled King Cobra with deep yellow eyes that looks as through they were looking through you instead of looking at you. Hebimaru stretches out 20 feet in full length, with a girth of 5 ft in diameter. When its hood is fully extended it can create a surface area of about 9 foot wide, allowing Rivalz to ride on top of it easily in either a closed or open style. The hood is usually only extended for defense or when it chooses, but like all King Cobra’s it had a design of a circle on the back of its hood, though Hebimaru’s symbol also features the leaf symbol in the center of its marking, something it had Rivalz add to him to honor Konoha. Hebimaru is a talking summoned creature, and commands the respect of most other vipers. The fact that the King Cobra is an Ophiuchus, snake-eater, is appealing to Rivalz for the fact that he has never been much of a fan of snakes. Like all King Cobras Hebimaru produces neurotoxins in its venom, which can paralyze an opponent if they are bitten. Hebimaru's eyes are yellow, and appear almost ominously in the black-scaled face of the cobra. --Venom: Hebimaru possess the same neurotoxin venom as normal King Cobras, which will cause near complete paralysis in the victim if a bite is landed. --Jaw: Like all cobras, Hebimaru can dislocate his jaw in order to swallow objects of a larger size then his initial mouth would allow. --Belly: Hebimaru can neglect form digesting smaller objects that do not miscue his normal girth, allowing him to potentially transport objects without them appearing obvious. However, one downside to this is that, once coughed up, the object will be covered in fluid from within the snakes body, though non acidic in nature. Description: Utilizing a high amount of chakra, the user will collect Katon chakra in their lungs to create a large ball of flame that is sent straight forward out of the user’s funneled fist, which is raised to the user’s mouth. This fireball appears as a giant sphere, that in powerful cases can leave a crater where contact is made with the ground. This is a large attack that can prove devastating when directed upon a single target. Hebimaru does not require hand-signs to perform this technique, considering that snakes do no have hands. Description: This technique allows Hebimaru to spit from its mouth a large dose of flammable oil that ignites into an intense flame when it meets with a open flame. This technique can be combined with any fire technique of Rivalz to ignite the oil as it is slit form the mouth, or it can be used to dose the area that can be ignited after the oil sits. Hebimaru can also release this special oil through its skin, relating this technique back to the source of its name, which comes from a water serpent that would drip oil onto boats before igniting them onto fire. Description: This technique uses Hebimaru’s natural modified saliva, venom, to create a cloud of venomous gas around the area. Hebimaru will collect chakra and venom within its mouth and lungs before spewing out this cloud to cover the area. If the opponent is caught in the cloud for a minute then it will be the same as through Hebimaru directly bit them, and even if they are not caught for that long they will experience nausea and disorientation from inhaling the cloud. However, Rivalz, being immune to snake venom, can safely in the cloud alongside Hebimaru, who is immune to neurotoxins along with all other King Cobras. This cloud is meant to deliver venom to the opponent, but is also useful in creating a effective smokescreen for distractions. Story: Kiyohime, or just Kiyo as she prefers to be called, was once a beautiful waitress who, according to Japanese folklore, worked in a teahouse on the Hidaka riverbank. A visiting preast named Anchin fell in love with her but after a time he overcame his passions and refrained from further meetings. Kiyo became furious and sought revenge. She went to the temple of Kompera to learn the art of serpent magic. After studying for some time she turned herself into a serpent women and hunted down the priest where he lived. When the priest attempted to hide from her beneath a temple bell, she released a great belch of fire and melted the metal thereby killing he priest. However, after enacting her revenge, Kiyo learned that she could not undo the magic that had transformed her, and thusly she would forever remain a monster. Eventually she found her way to the wanderer’s mountain, and she was accepted by the snakes that live there, becoming one of the inhabitants of the snake filled tunnels and marshes, usually spreading her time sulking over her lost love and lost humanity. However, when summoned by Rivalz she instantly fell in love again, though if he ever betrayed her then he had better watch out! --Claws: Unlike most snakes, Kiyo is somewhat humanoid and does have hands, complete with large talon like claws on her fingertips. Description: This is a Genjutsu technique that is released through a melody sung by Kiyo. While she sings this technique she is unable to move, however, so long as the opponent can hear this melody they will be placed under at least some of the effects of this Genjutsu. However, the full effects of the Genjutsu can only be reached if the opponent both hears this melody and is looking into Kiyo’s eyes, meaning that if eye contact is made when the melody is begun this will become a total Genjutsu. If the melody is just heard by the opponent then they will be put into a dazed state, slowing down their response time to the situation, through not immobilizing them. However, if eye contact is made when this melody begins then they will also be immobilized by being placed into a trance like state, unable to move or look away from her eyes, similar to how a snake charmer charms a snake. The downside to this technique is that the one that summoned Kiyo is also victim to this Genjutsu, meaning that if eye contract is not made then both Rivalz and his opponent will still be fighting on an even battlefield. Furthermore, this Genjutsu can last only as long as Kiyo’s own voice can carry it, the most time of this being 5 minutes in one use, and after one use her voice will need to rest, making this a one time use technique for a single battle. Description: This is a poison technique that utilizes the venom produced by Kiyo’s fangs. By making contact with the victim’s mouth through a kiss, Kiyo will inject her poisonous venom into the victim’s bloodstream though being absorbed in the victim’s mouth. The venom itself does not need to enter an open mouth, but rather just leave Kiyo’s own mouth through the contract of the lips, with the skin of the opponent’s lips and oral cavity being some of the softest on the body, allowing for quick transport of deadly venom. If the kiss is successful this chakra-enhanced venom will immediately begin to corrupt the opponent. The skin around the mouth turning pale and flaky, and the veins around the area showing a dark blue, even the eyes of the user turning yellow, which is a common sign of some poisons. If the kiss is landed then the victim with faint within 10 minutes time unless the poison is removed by some other force, since it cannot simply be bleed out of the victim. However, up until the opponent faints, the victim will be disorientated with a gradual condition that will impair their body more and more as time goes on. While this is a powerful technique, its flaw is that it must be delivered though a kiss, making it a difficult one to deliver in the field of battle. This technique alone does not kill. However, its name is still appropriate since the victim will be left defenseless. Although the effects of this jutsu are much like what they would be if Kiyo simply bit the opponent, this style of paralysis works immediately, rather then when just a bite is landed. Description: After performing several hand-signs the user of this technique will create at their feet a small flame that rapidly expands and shoots forth according to the user’s will. The fire will travel in rapidly moving jets which will race towards the target and surround them in a ring of intense flames, which can be made all the more powerful with the introduction of wind from Fuuton techniques. While this technique is usually perform on the ground so as to limit the movement of the target, it can also be done in a mid-air spin, forming the fire from the user’s foot into a ring that can be shot towards the target. Hebiiwaya, or Iwaya as Nathan has dubbed him. Iwaya is also a very large snake, measuring roughly 35 meters (114.8 feet) in length and 4 meters (13.1 feet) in girth. Iwaya is a grey scaled scan, though the scales are alternating between grey and black, though grey is the dominate color in the scales. The alternating pattern down his body seems to look like waves. Each section of black is different than the previous in width, no two are the same. --Venom: Iwaya’s venom is rather potent. If someone gets infected by it, the venom will fully paralysis a person within 3 posts by one infliction, more infliction cut the time down. --Jaw: Iwaya can unhinge his jaw, like most snakes. --Vibration Detection: Iwaya can naturally detect vibrations, his skill with this vibration detecting is rather effective. Able to tell how many things are moving, how big they are, and how far away they are. Though he can only detect them up to about 250 meters away from his location. --Tunneling: Iwaya can naturally tunnel from his time living within the Cave of Winds. --Pickiness: Iwaya doesn’t really like other humans, and if summoned by someone other than Nathan he may just unsummon himself on the spot unless the person has a direct tie to Nathan and he knows it. This technique uses the natural ability of snakes to shed their skin in order to create a kind of substitution effect. Though the skin shedding is usually only done when the snake grows, this technique can be performed by the summoned snake sending chakra into its existing outer scales. By quickly shedding its old skin, the snake is able to leave its scales behind and quickly move to another location on the field. This technique will repair minor damage that had been done to it, but it also allows the snake to reposition itself while distracting the opponent, since there will be a snake form left behind form the scales being quickly shed, which can potentially hide what has been done if they scales are not blown away in the attack the serpent just dodged. Iwaya will rip apart the ground, and swallow a large chunk of stones. Channeling earth elemental chakra into the stones and his body as the stones go into its body. Iwaya will then rear his head back before swinging it forward. Opening his mouth releasing a barrage of pebbles about the size of Nathan’s fist. The vast size of this barrage is more dangerous than a single pebble itself. Iwaya will gather earth elemental chakra into his mouth, specifically his fangs and other teeth. He will bite down on the ground, injecting both his earth elemental chakra and the venom that flows in his fangs. From the ground, spikes will rise up aiming in a line towards the targeted opponent(s). Each of these spikes are coated in a film of Iwaya’s Venom. The general thing Iwaya designed this to do was have the tip of the spike cut the skin, and the venom enter into the blood stream from that open wound. Shards of earth could even get into the blood stream if the cutting impact is forceful enough. After this is used, Iwaya will be out of Venom for the following 3 posts. Iwaya will use this jutsu, by focusing chakra into the ground below him. Once the pool of chakra has grown large enough he can active this jutsu. This causing the area within a 30 meter radius from him to violently shake. The ground will churn and up-heave as Iwaya controls the flow of the chakra. Spikes, sink holes, pillars, and lots of other things can be created by this jutsu as Iwaya controls the flow of the chakra. This jutsu will use up Iwaya’s chakra reserve quickly only allowing him to use this jutsu for up to five  posts before he will unsummon himself. Orochimaru has the scroll to summon snakes. Edit your profile to show that he taught it to you before this can be approved. Grandz, Orochimaru isnt the only one with the contract for snake summonings. There is only one contract per summoning. They are given to the ninja who have been chosen by the animals after training. If you watch the anime Orochimaru can use it and sasuke can use it so its obvious he learned so from orochimaru mean he has the contract. Its okay as long as he puts in his bio how he got snake summons, the the rule of other peoples summons is only if you take from there clan of summons. Such as there may be two toad clans, but the only known one is the Gama Family which all have the name Gama in it. 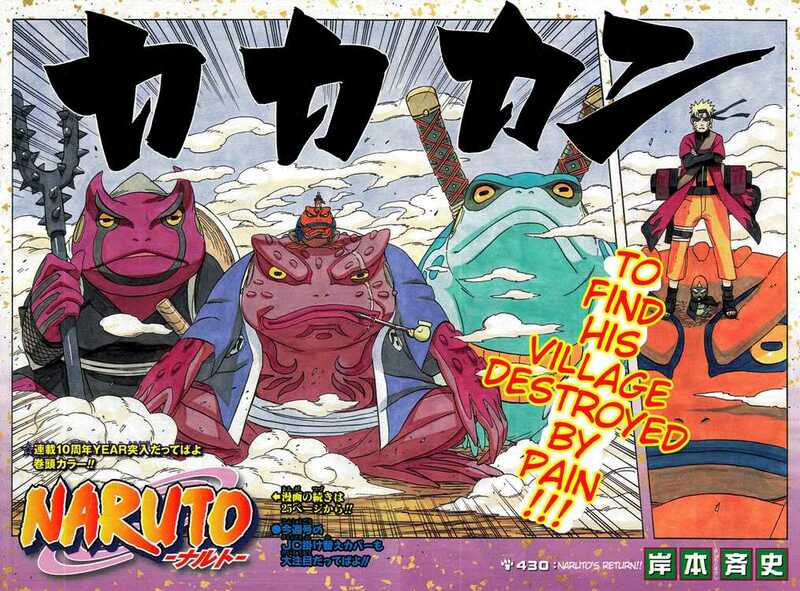 This was mentioned by Sasuke as how there were a Hebi and Ju clan of snakes... Oro summoned the Ju, Hebi were a anime char's summons... So it is approved as long as it isnt of the Ju clan. Though i think the two clan rule only applies to the Snakes... Toads i believe don't have another clan.. So nathan passed by with this type of summon.